I'm delighted to add these vintage dog postcards to my store, Birdhouse Books. 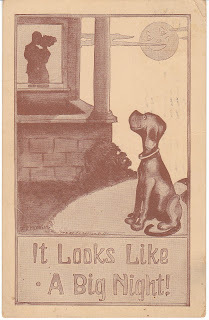 Just wanted to share some great vintage dog images with you! 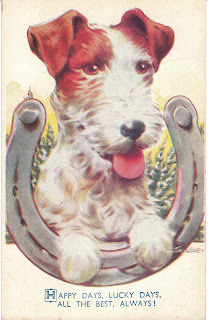 A beautiful Wirehair Fox Terrier dog resting in a horseshoe - illustration by Taylor - 1940. A Patient Playmate - a beautiful Jack Russell dog meets a cat peacefully. 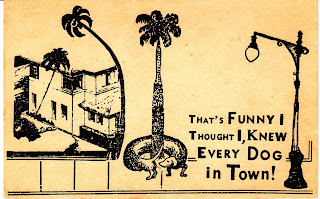 1910 postmark. A Dachshund wraps himself around a palm tree - unusual Art Deco design card. 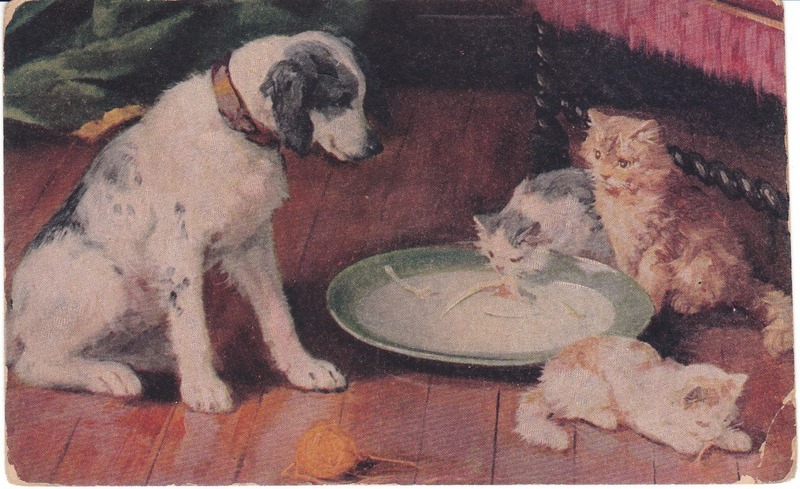 An English Springer Spaniel dog watches some beautiful cats drink milk. A hound dog watches a romantic couple kiss in silhouette. 1911 postmark. Illustration by F.R. Morgan. 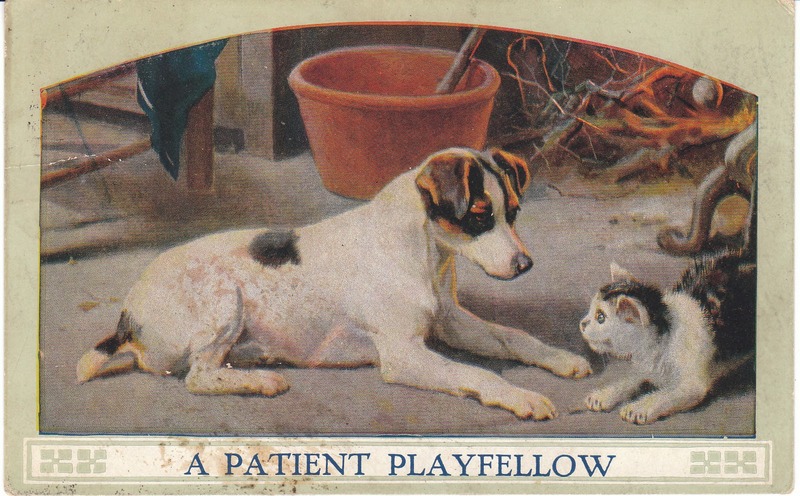 You'll find these vintage dog postcards, and more, at Birdhouse Books - just click here!